Andre Gray scored the winner for Burnley as the Sky Bet Championship leaders came from behind to win 3-2 at Fulham in a thrilling encounter on Tuesday evening. The hosts had led 2-1 at the break after goals from Ross McCormack and Moussa Dembele had responded to Sam Vokes' early header. But Vokes put Burnley level from the spot after Tom Cairney had fouled Joey Barton before Gray scored his 22nd of the season to win a dramatic game. A game between the Championship's two highest-scoring teams was always going to produce goals and the chances came from the first whistle. McCormack's cross was cut out by Tom Heaton early on while Ryan Fredericks' last-ditch tackle denied Scott Arfield at the other end. 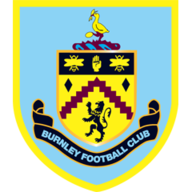 But Vokes put Burnley ahead on nine minutes by heading home from Arfield's corner and it could have quickly been 2-0 as Barton's free-kick from 25 yards went just wide. 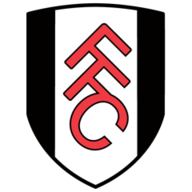 Fulham suddenly found their stride and were level after 17 minutes as McCormack scored his 20th of the season from an excellent through ball by Dembele. And it was to be Dembele who put Fulham in front seven minutes later as he chested home from two yards out following Luke Garbutt's threatening cross. Burnley were aggrieved as George Boyd went down in the area under a challenge from McCormack and then shortly afterwards Gray found the net but the goal was disallowed for handball. Fulham did not look like a side that had started the day five points above the drop zone and they will feel they should have wrapped the game up before the break as Cairney was denied by a wonder save from Heaton at point-blank range from McCormack's cross after an express counter-attack. It proved to be a big moment in the game and Burnley stepped up an extra gear at the start of the second half. Vokes took penalty responsibility four minutes after the restart after sharing the duties with Gray this season, and he made no mistake by sending home keeper Andy Lonergan the wrong way. Fulham continued to create chances with Garbutt denied by another good Heaton saved while McCormack then blazed over the bar from a good position. But Burnley went on to claim what could be a priceless win with Gray scoring the winner out of nowhere. The summer signing from Brentford had been well marked for an hour but he got the better of Michael Madl on 61 minutes to give Burnley all three points and leave Fulham in trouble.